Social-emotional learning (SEL) is a hot topic in schools right now—as it should be. It’s increasingly clear that social and emotional skills are the keys to the kingdom—it’s the skill set that employers are seeking—the skill set that’s less likely to be outsourced or automated as our economy continues to shift. Perhaps most importantly, strong SEL skills are correlated with many measures of life-long health and happiness including lower rates of criminal activity and substance abuse and better mental health. As I work in schools across the US, I hear a common and troubling refrain: more kids are coming to school less school-ready than ever before. Children have a hard time listening to others, making appropriate eye contact, participating in group activities, taking turns, sharing, showing empathy, and making responsible decisions. Many theories are posited by teachers. Parents rely on devices to calm/regulate young children, so they don’t know how to function without a phone or tablet in their hands. Parents themselves may lack key social and emotional skills. In some communities, there are a growing number of children coming from homes where opioids and other drugs are used. Regardless of the reasons, it’s pretty clear that just as SEL skills are becoming even more important, many children seem to be lacking a solid foundation in these skills. To compound this challenge, teachers are already overwhelmed with all that we have to teach. Many schools are attempting to address the need to teach SEL skills by adopting programs and curricula that emphasize the teaching of SEL skills as an add-on—specific stand-alone lessons and activities to be delivered in addition to academic work. For teachers who are already swamped with too much to teach in not enough time, these boxed curricula can feel burdensome and overwhelming, especially when the required lessons don’t even align with the actual skills needed with a particular group of students! Wouldn’t it be great if the teaching of social, emotional, and academic skills could somehow come together? What of there was a way to teach these skills as a part of daily academic work instead of on the side? For those of us who use reading and writing workshops to teach literacy, we’ve already got (at least part of) the answer! There are tons of SEL skills that need to be taught for kids to be successful readers and writers. These are the very skills that they need to learn to be successful throughout school and beyond, and, these are the same skills needed to be successful in most literacy standards! Check out the chart below for a few examples of the overlaps between literacy skills (drawn from Common Core ELA standards), SEL skills, and structures commonly used in literacy workshops. 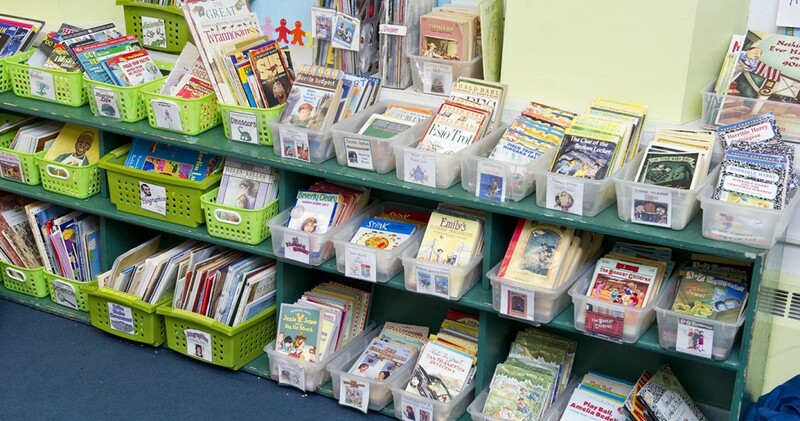 Once you start seeing the connections between literacy skills, SEL skills, and the structures of reading and writing workshop, you’ll be amazed at how many start to become obvious. This is both exciting and overwhelming. If every component of reading and writing workshop involves SEL skills that need to be taught (which is true), and if many literacy standards involve SEL skills to be learned (as indeed many do), and if all students need support in SEL skills (and they do), where do you start? Each time you’re about to teach a literacy lesson, whether it’s a whole class lesson, a small group strategy session, or a one-on-one conference, consider social or emotional skills that might be involved. Could students use some advice about how to position their bodies effectively for a writing conference? Might they generate some suggestions for how to regain focus on reading after you’ve been distracted? Would some modeling help students better understand how to ask supportive and constructive questions to help push each other’s writing? Here’s a video of a quick discussion I facilitated with a group of third graders as they were about to engage in a series of partner chats to discuss a book they had read. Notice that this is a simple small moment of teaching—something that could easily be incorporated right into many literacy lessons that you already teach. This is an activity you might try on your own, with a small group of colleagues (perhaps as a PLC or grade level team), or even with a whole staff at a faculty meeting. First, choose a set of SEL skills or competencies to use. If your district hasn’t already adopted one, you might use the CASEL framework. Another great one is the Habits of Mind. Next, look through your literacy standards or curricula. Make connections between the two. Which SEL skills are required for students to be effective readers and writers? Which literacy skills and structures are great ways to practice the SEL skills kids need to learn? For a more complete write-up of this activity, check out this blog post. This is an activity I tried one summer while teaching a course through the University of New Hampshire Literacy Institutes. We brainstormed common structures used in reading and writing workshop—ones like sustained independent reading/writing, peer and teacher conferences, book groups, read-alouds, whole class lessons, strategy groups, etc. Then, we generated a list of the SEL skills students needed in order to participate effectively in each structure. For example, in order to have good reading conferences, students needed to know how to sit facing their partner, how to make eye contact, how to ask interesting questions, and how to share about a book in a concise way, just to name a few. These lists that we created provided a great starting point for everyone as they considered what to teach, especially at the beginning of the year when setting up these structures. These are, of course, just a few ideas, but hopefully they’re enough to get you started. I think one more point should be made. Sometimes, teachers worry that they don’t have enough time to teach students social and emotional skills when they already have so many academic ones to teach. The more you explore the integration of SEL in literacy workshop, the more it becomes apparent that SEL skills areacademic. Many are built right into our academic standards and many more are required to participate effectively as a reader and writer in school every day. In the end, I think it’s fair to argue that we don’t have time not to teach social and emotional skills as a part of everyday literacy instruction!